Arranging the perfect holiday cookie platter is simple once you have the right treats to add to it. 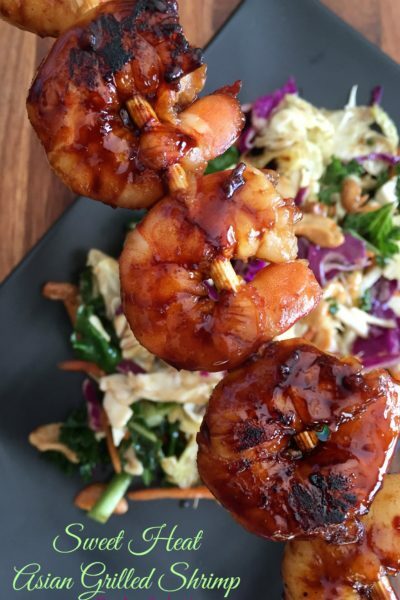 Find all of the recipes and instructions you need right here! Don’t forget to pin this collection to make it easy to find! 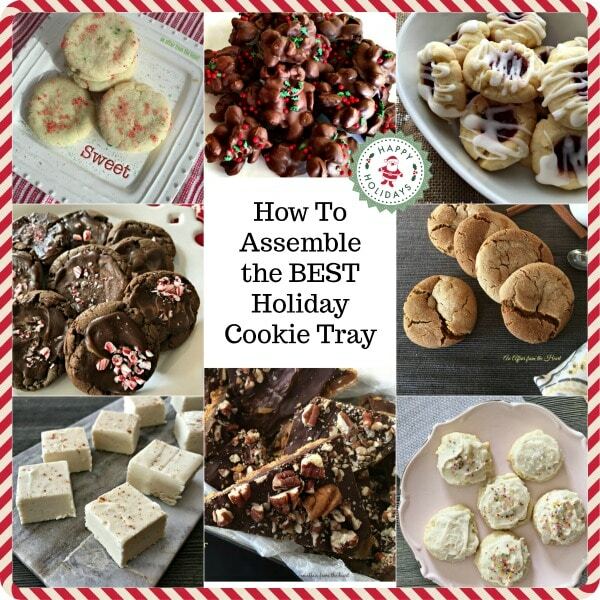 How to Assemble the BEST Holiday Cookie Tray: Every year right after Thanksgiving I begin my holiday baking. I start with the things that I know can be frozen well, and work my way up a little at a time to the items that need to be made right before I deliver them. I have been making holiday platters for years, and I think if I stopped now, there would be some disappointed people. I’m not saying that to sound snotty. I promise I am not “that girl.” But I actually know this for a fact, because two years ago, I cut way back on what I baked, and I only gave out smaller boxes to family. I skipped the two giant platters of cookies and candies I typically send to my husbands office. Color me embarrassed when one of the girls that has been there the longest said “I can’t wait until you bring your cookie platter this year! I have been looking forward to it all month!” I wanted to crawl inside my own skin. That only happened once. First off, when you think of a traditional “Christmas Cookie” what do you think of? Most will think of a sugar cookie I’ll bet? I know that it where my mind goes. To me, a cookie platter isn’t complete without at least one kind of sugar cookie. The next sugar cookie I was introduced to, my friend’s Grandma’s recipe. Grandma Davis’ Frosted Sugar Cookies. I make these every year. 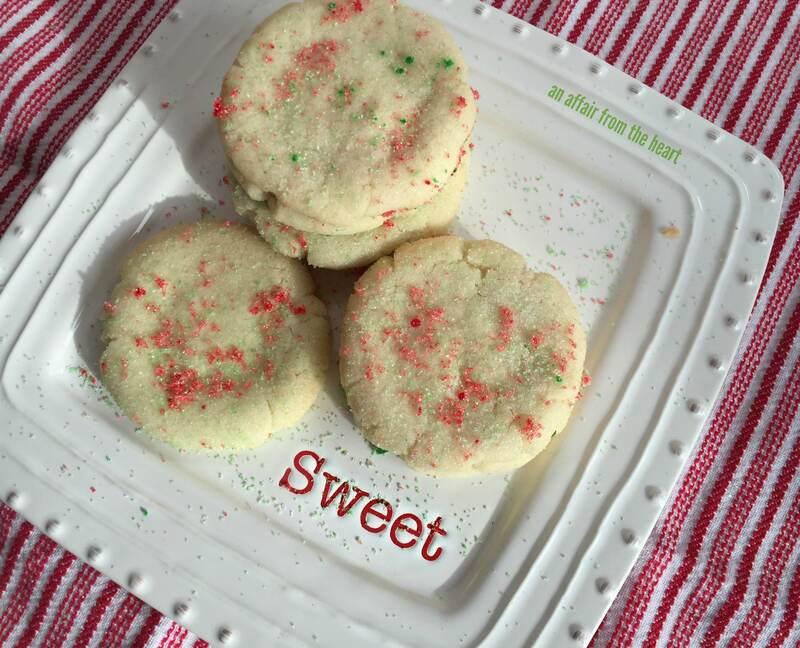 This recipe makes excellent frosted cut out sugar cookies. This year, I fell in love with a whole new cookie. 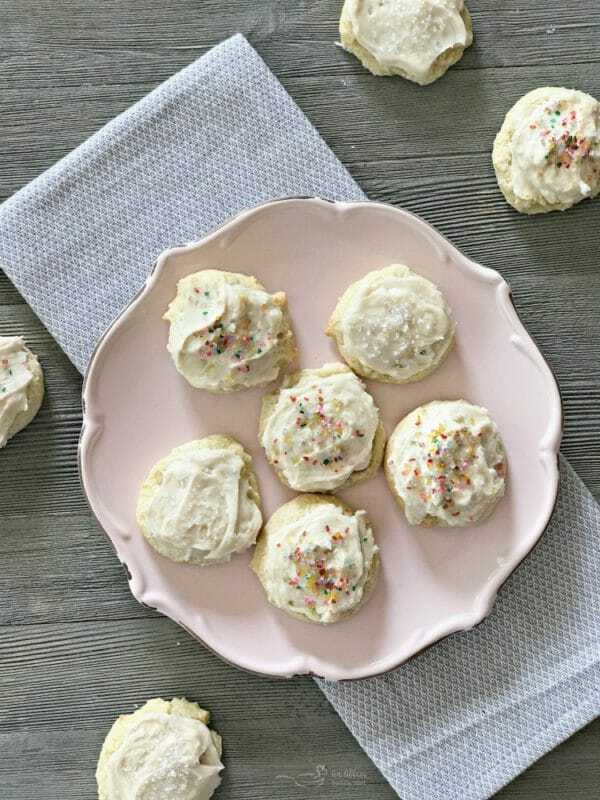 These Old Fashioned Sour Cream Sugar Cookies with Sour Cream Frosting are sensational. You can bet they will be making an appearance this year. Every cookie platter needs a little spice! Options for spiced cookies are abundant. Gingerbread, Gingersnaps, Molasses, Snickerdoodle, Eggnog … I like to have one of two of these types of cookies on my platters, too. My Love for Gingerbread started when I was little. My Aunt Ellen used to make these teeny tiny gingerbread men and women every year. Then, later, my sister-in-law, Karen, made Gingerbread Cookies, and to this day, they are her son, Alex’s favorite cookie. I typically don’t make the cut-out kind anymore, as I try to use my time wisely and make more cookies. I love Gingersnaps! 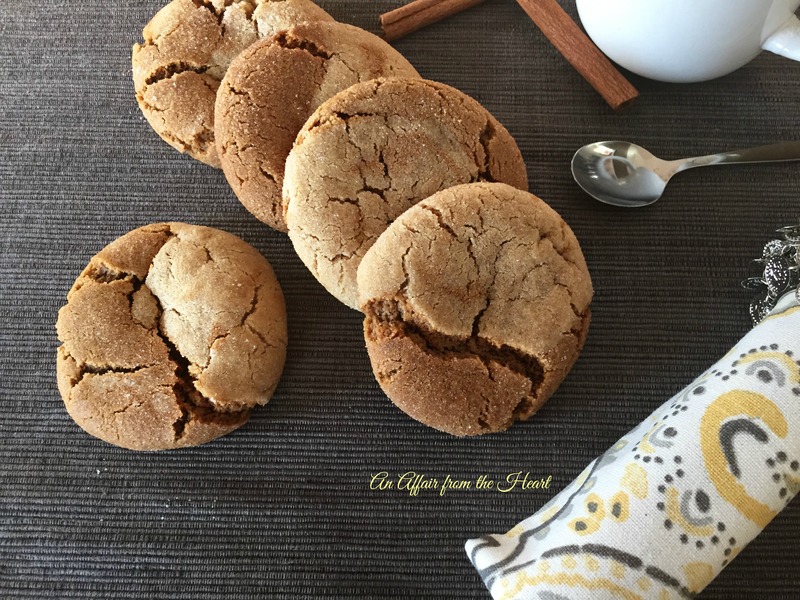 It doesn’t matter if they are chewy gingersnaps or the crispy gingersnap cookies. There is nothing I love more with a hot cup of tea than a ginger cookie. Well, unless you can combine that ginger cookie with a snickerdoodle cookie! 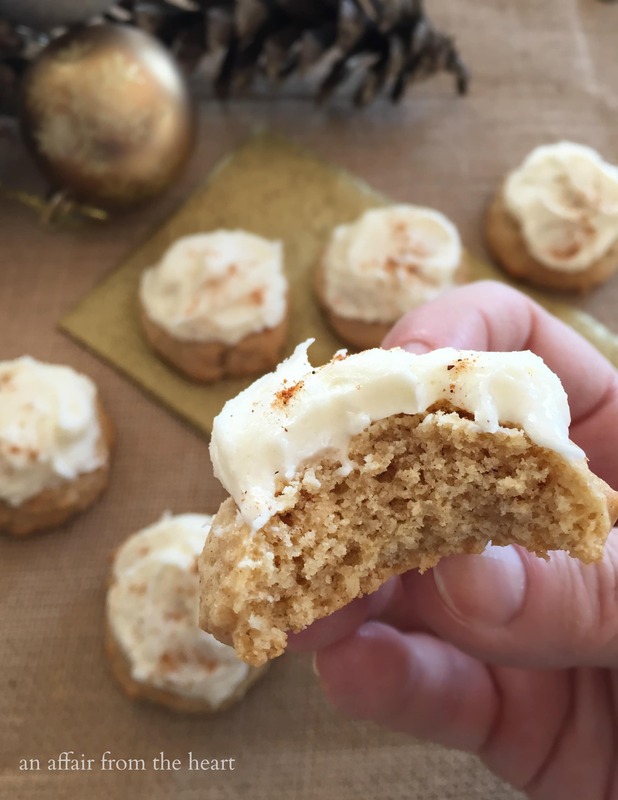 These Frosted Eggnog Cookies are a great spiced cookie option … nutmeg, cinnamon and eggnog spiced. Both the soft and chewy cookie and the frosting. It’s nice when the cookies aren’t all the same shape. 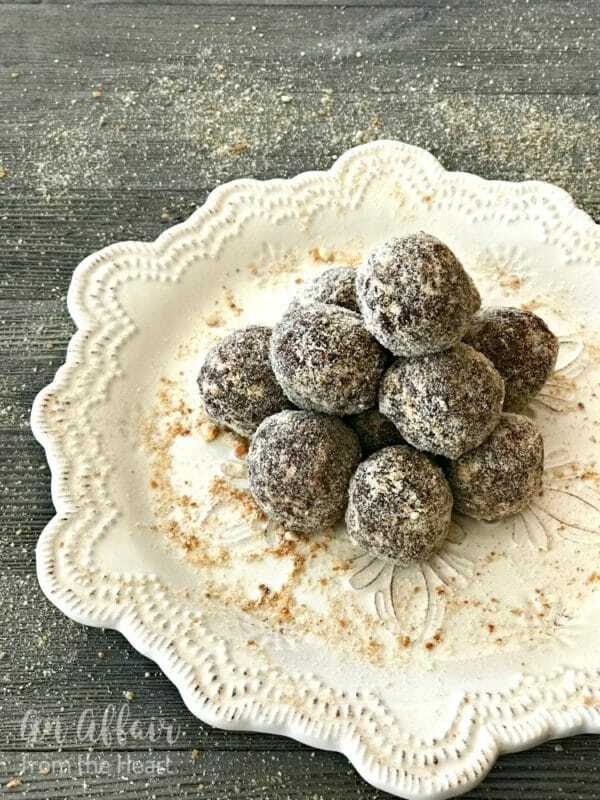 These Mocha Rum Balls are perfect for that. Plus — No baking required. I always make sure to mix in some candies, too. Little bit of everything, right? One thing to always remember? Mix up the colors. Nobody wants a cookie platter that is all brown. blllaaahhhh. 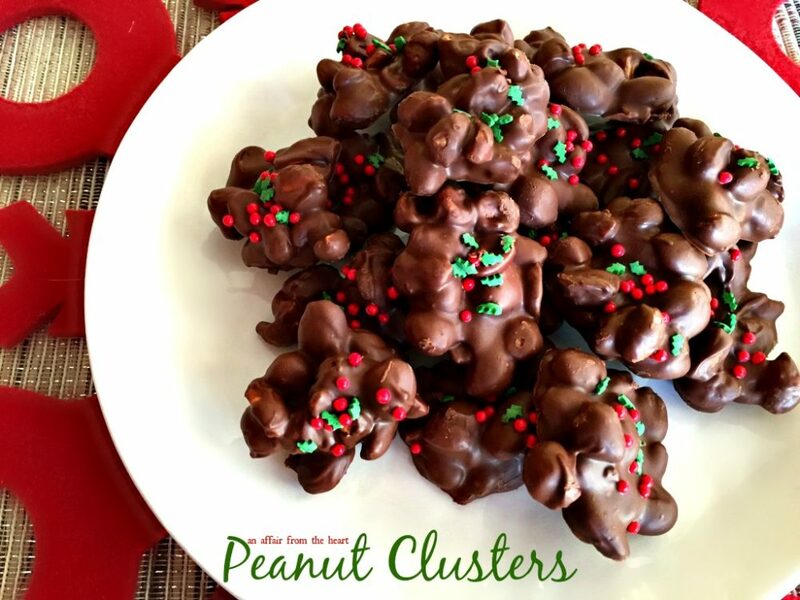 My MOST favorite holiday candy are these Peanut Clusters! 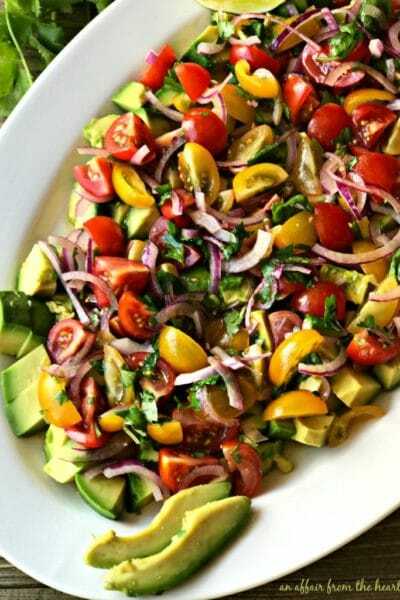 This recipe comes from my Aunt Janette. They are super simple to make and OH MY GOODNESS so good! Truffles are perfect for holiday platters! 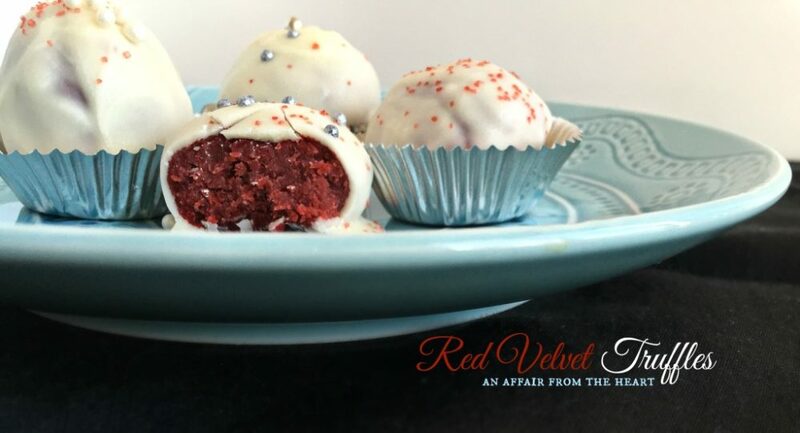 These Red Velvet Truffles were made by my youngest daughter, Josie, as a guest post a few years back. I also have Oreo Truffles and these Peanut Butter Chocolate Chip Cookie Dough Truffles. 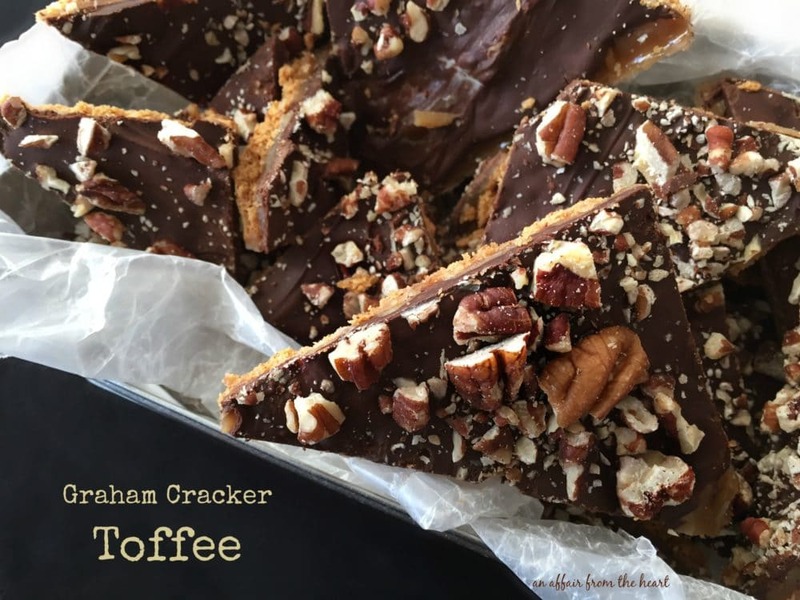 This Easy Graham Cracker Toffee is always on my platters. Buttery toffee, semi-sweet chocolate and pecans over graham crackers. 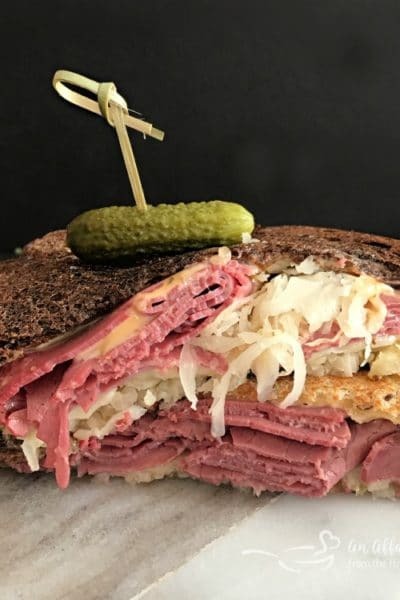 It’s so simple to make and everyone loves it! Candy coated pecans flavored with cinnamon and vanilla. 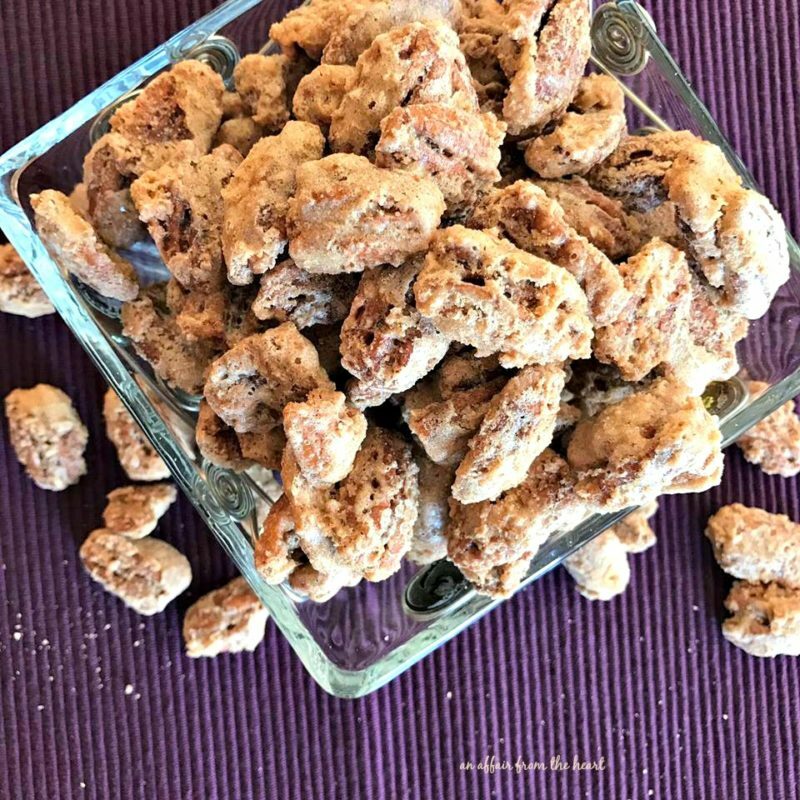 Candy coated pecans flavored with cinnamon and vanilla. Make perfect gifts, or fillers on holiday platters. 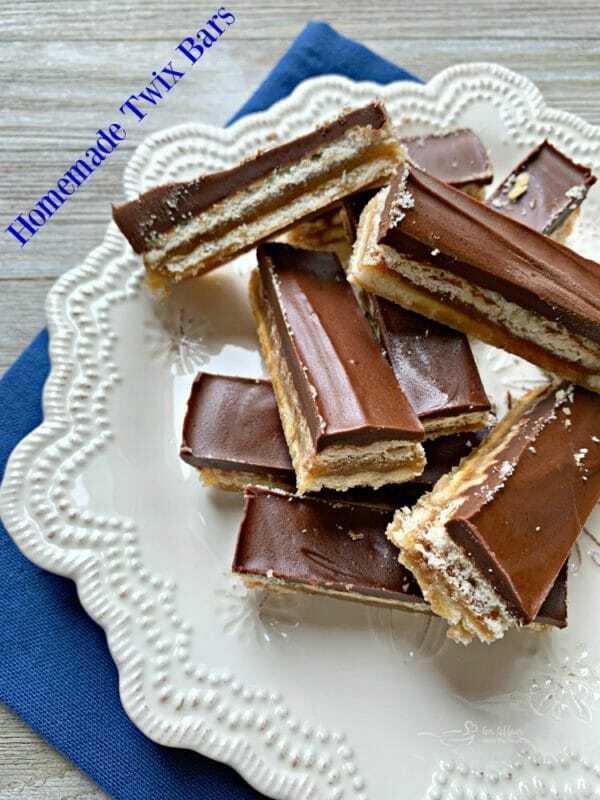 These Homemade Twix Bars are so easy to make. Layers of Club crackers, caramel and chocolate peanut butter ganache. A cookie platter without fudge is like Christmas in June. You just gotta have fudge!! 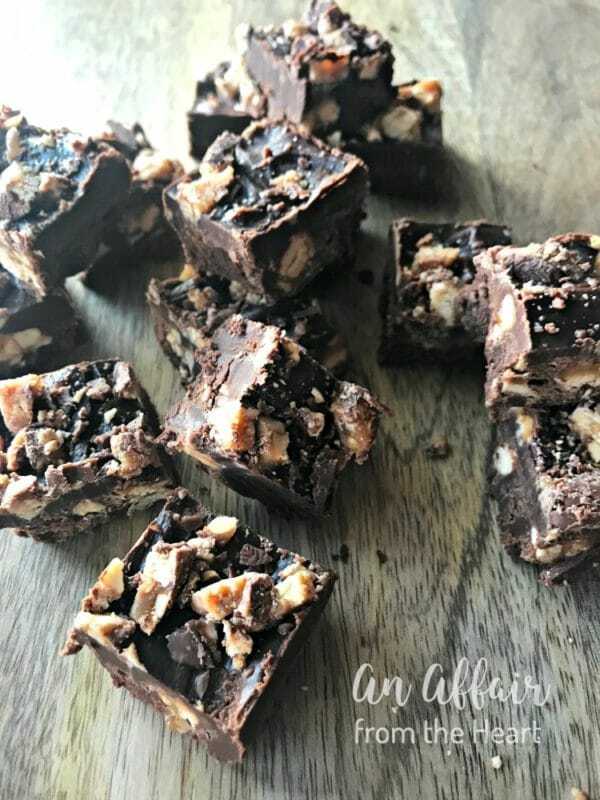 As sure as anything, you will find this candy bar fudge on my cookie platters. Only three ingredients, and one is Snicker Candy Bars? yes, please. 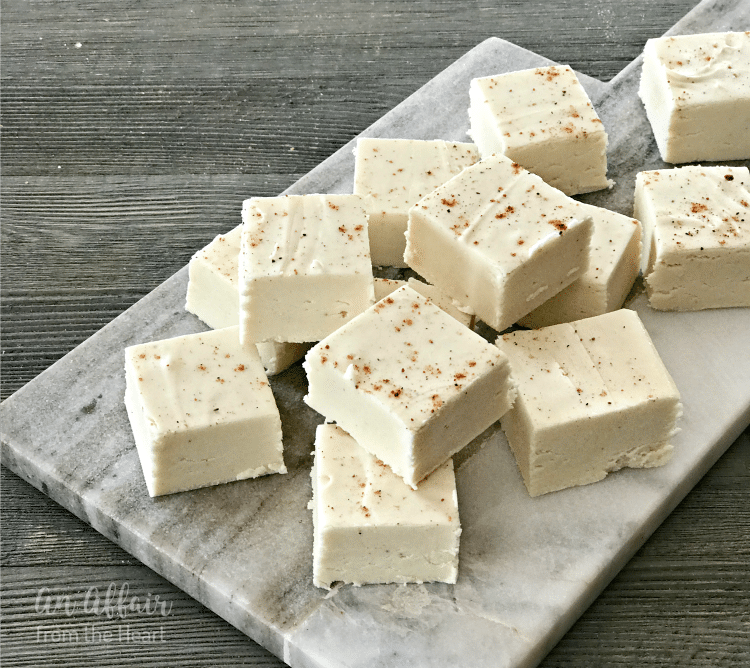 This Eggnog Fudge is perfect for Christmastime — It has a smooth and creamy texture, with white chocolate and a mild eggnog flavor everyone is sure to enjoy. Peppermint. It’s the signature flavor of the holidays. What is Christmas without peppermint? I will start by sharing two of my fudge recipes that are also, mint. Then keep reading for my other peppermint favorites! 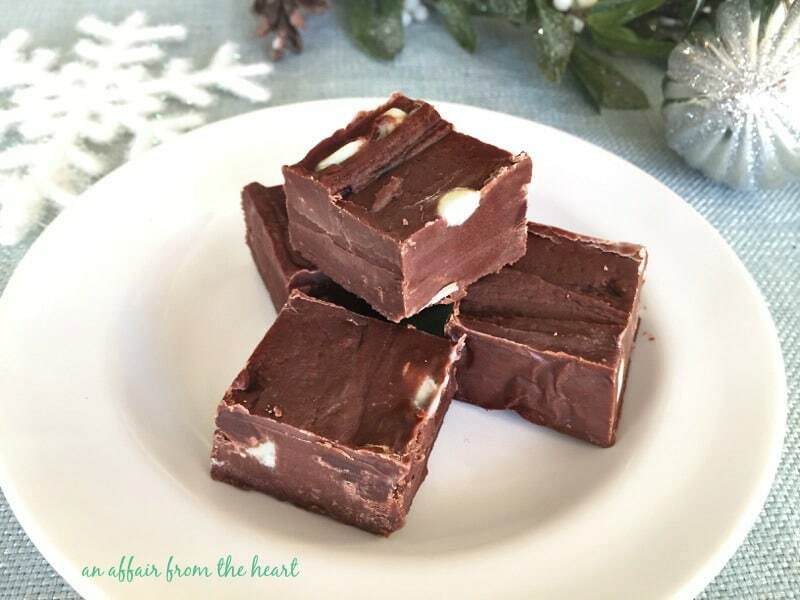 This mint fudge is so simple to make, you’ll wonder why you haven’t made it yet! That candy bar fudge I told you about? You can switch it up — like I did here, using York Peppermint Patties. These cookies are another one from my sister-in-law, Karen. They are my niece’s favorite cookie, and such a treat. Think chewy brownie, meets cookie, and gets kissed by peppermint. They are a must bake for me, every year. These are one I always make ahead, as they freeze really well. This dark and white chocolate peppermint bark is another I make early, it freezes really well, and always looks so pretty on the tray. I switch it up, make one batch where the dark is on top and another where the white chocolate is. Hint: buy up those candy canes when they are on clearance. Use them for all of your peppermint baking the next year. I will round out this post with my platter “must have” cookies. Everyone has their favorite here, and I try to keep them all happy. These Almond Raspberry Thumbprints are my oldest son and youngest daughter’s favorite, must have cookie. What’s not to love, right? The hubs loves Chocolate Crinkles. I have never blogged them, because I use Betty Crocker’s recipe. But I make at least a double batch every year. 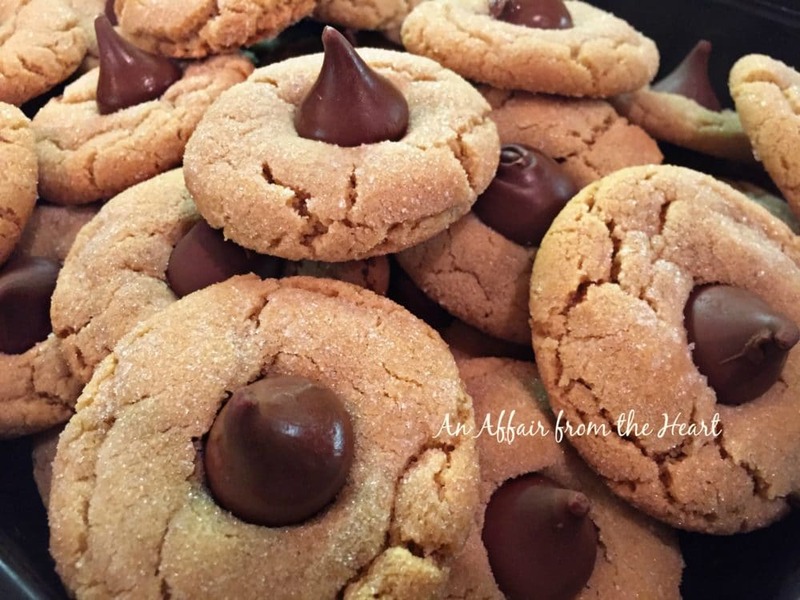 These peanut butter kisses use my mom’s peanut butter cookie recipe. These Peanut Butter Kiss Cookies are a must have from my youngest son, my oldest daughter and her boyfriend. Peanut Butter Kiss Cookies are a holiday tray staple. Depending on the amount of people you are gifting your baked goods to, you can plate them or put them in cute little tins. I always forget to get a good picture of my plated treats. I make large trays for my husband’s office and our family Christmas get-togethers. For smaller groups like couples, families I use smaller plates, tins or boxes. Making sure there are at least one for each person to try. Those ginger snap snickerdoodles look amazing! My daughter loves baking with me, well, licking the spoon! These cookie platters look amazing! And such a great giveaway! Wishing I could get a cookie platter from you! 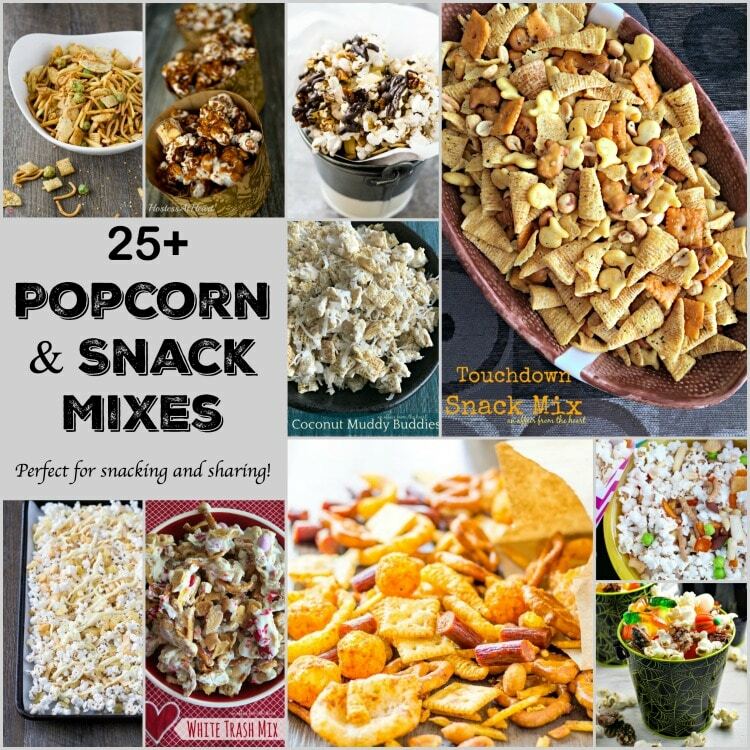 So many terrific recipes – I’m not sure which one is my favorite! I really want to try making those Twix bars. Yum! Perfect ideas for my holiday cookie platter!! YAY! I’m pretty hungry now. If I won the mixer – fit thing I would try and make is bread. yeast and I do not get along so I need to try and make this work !! What a delicious assortment of cookies and goodies for Christmas! Everything looks so tasty! 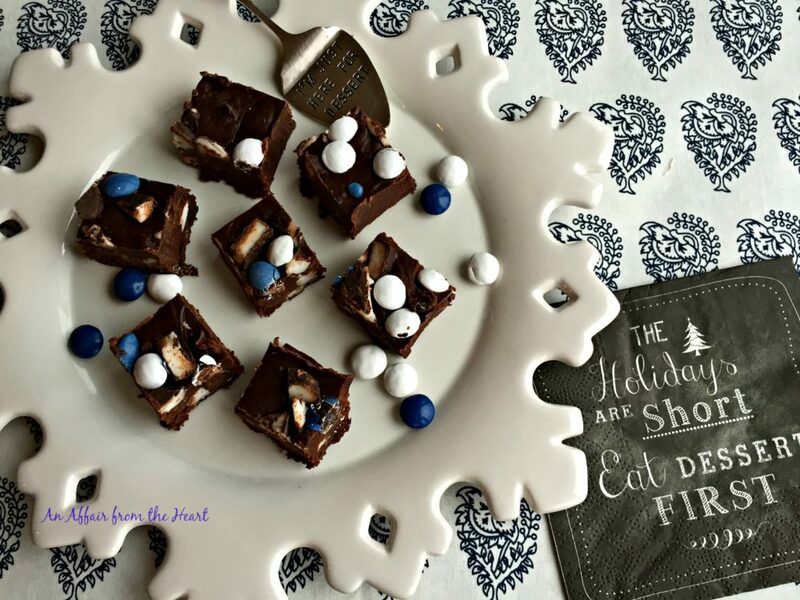 Thank you for the great tips on how to showcase all the delicious Holiday threats. Years ago I entered a contest to win a mixer for my mom. All I had to do was make a video of why I wanted to win and I actually got picked. It was the coolest moment to be able to give it to her for Christmas. I really wanted the mixer for myself but it was so much more fun to give it to her. Now she has passed and I have her mixer. I’d love to give my mom’s to my daughter and have my own so it doesn’t hurt quite so much when I use it. Sorry for the long comment. The cookies all look so great! I will probably be making a wide variety of your cookie recipes, especially if I got the new Kitchenaid mixer. My old mixer would be given to my granddaughter. I bake hundreds of cookies to give away at Christmas. Each year I say “well next year I’m going to cut back on the baking.” Of course, I never do. It’s the one part of Christmas that I just love! If I win the mixer, I will use it for making all of my Christmas cookie recipes! Would love to win this for my daughter, she has had a lot of serious health issues this year. Oh my!! I just gained 10 lbs. scrolling through these recipes. I am a sucker for fudge. My husband and boys like cookies. Will have to definitely try the simple Christmas sugar cookies & Grandma Davis Frosted Sugar Cookie. Wow! So many delicious options. I love them all. I better start baking!!! Do I have to pick just one recipe? How is that even possible? If I mus – , I will probably start with the Graham Cracker Toffee or the Twix cookie…. 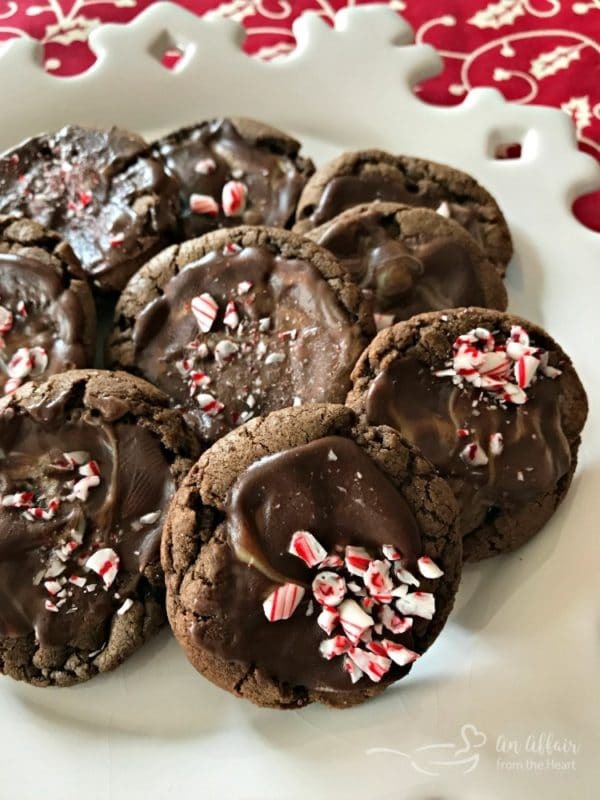 OK I already changed my mind – soft chocolate cookies with the Andes Mint frosting and crushed peppermint it is!!! I would love to win the kitchen aid mixer so I can give it to a very close friend who just purchased her first home. She doesn’t have one and always comments about how she would love to have one someday. Can you blame her? Kitchen Aid Mixers are the absolute best! 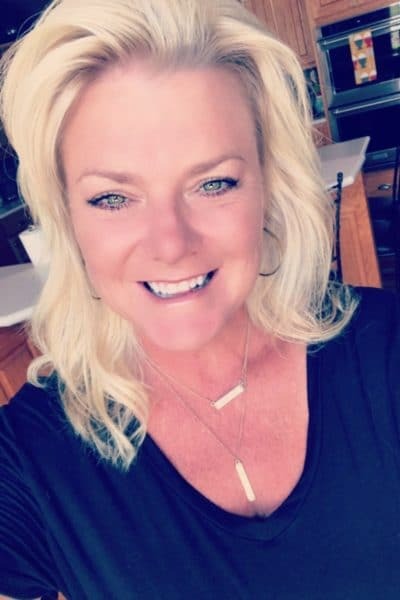 What an amazing friend you are, Kathy! And great cookie choice! If I won the mixer i would give it to my wife. I have wanted get her one but can’t afford one. Your blog is a favorite of mine! My daughter loves to bake so I would gift it to her! I was in my 40s before I bought my first Kitchenaid and am very proud of it;) She would love her own someday to enjoy! I would love to make s batch of my favorite cookies – Will you Marry Me – for my family. I would keep it for my family because we love to bake year round!! If I won the KitchenAid, first thing I would make is bread! I would love to replace my 82 yr. old mothers kitchen aid with a new one. Her current Kitchen Aid is 25 yrs old !! 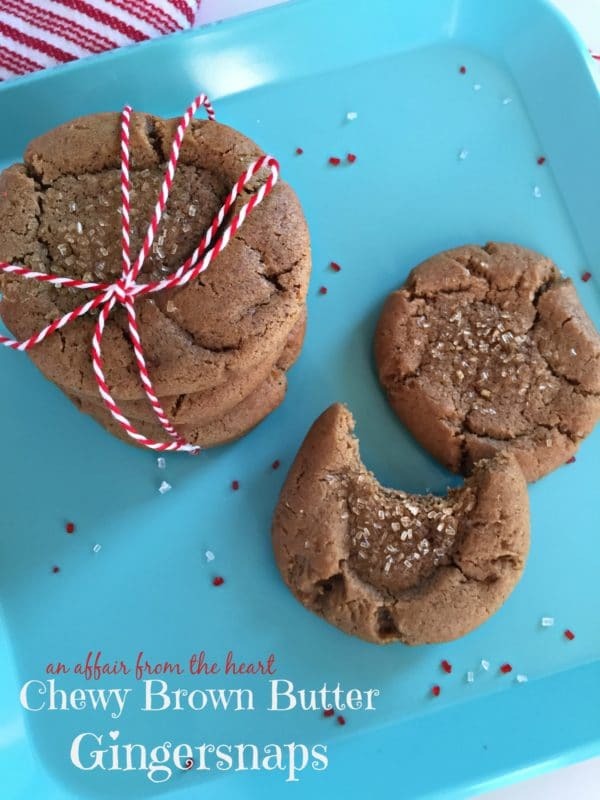 First thing I’d make are those chewy brown butter gingersnaps, I love spice cookies! I would make lots of Christmas cookies with a new mixer. I would actually gift it to my husband who burnt our hand mixer up this past Christmas making his Momma’s homemade cookies. It is something him and his Momma did when he was a child and he has carried on the tradition over the years. He is now 62. As a plus I will get to use it when he is not 😃. He just said the other day that we were going to have to try to get another hand mixer so this would be so awesome to win for him! Thanks for the chance! 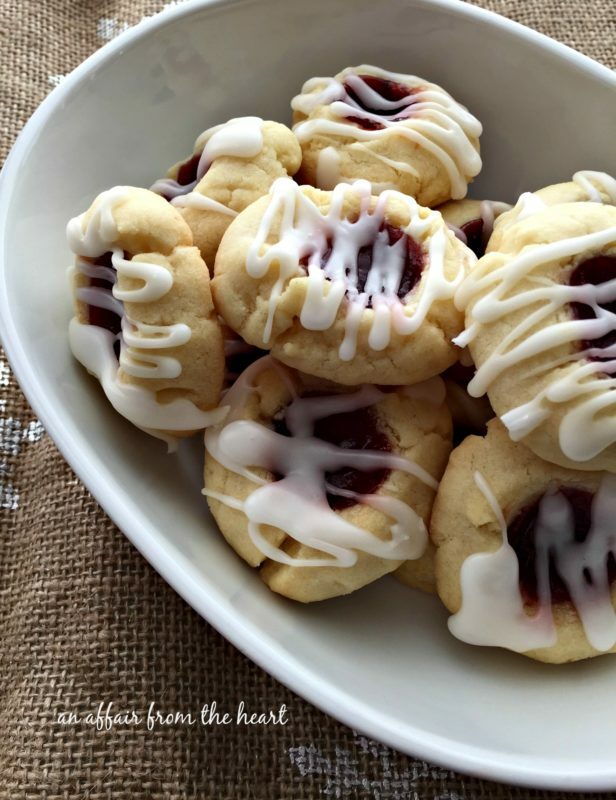 I love all your recipes but the almond raspberry thumbprint cookies really caught my eye! I have never made these kind of cookies before and that will be corrected very soon! They will be part of my cookie gifts I am making for my family this year. 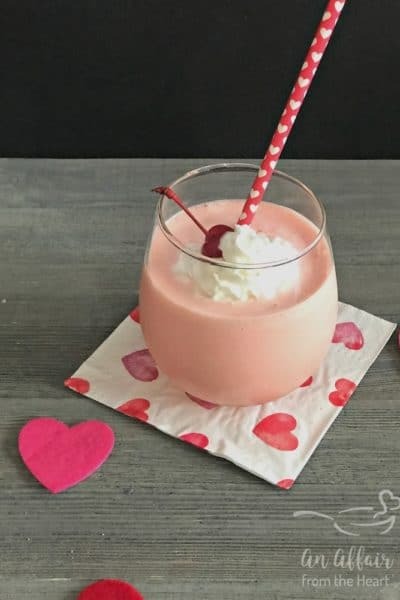 Thank you for the recipe and the mixer giveaway! Oh wow, so many delicious recipes! 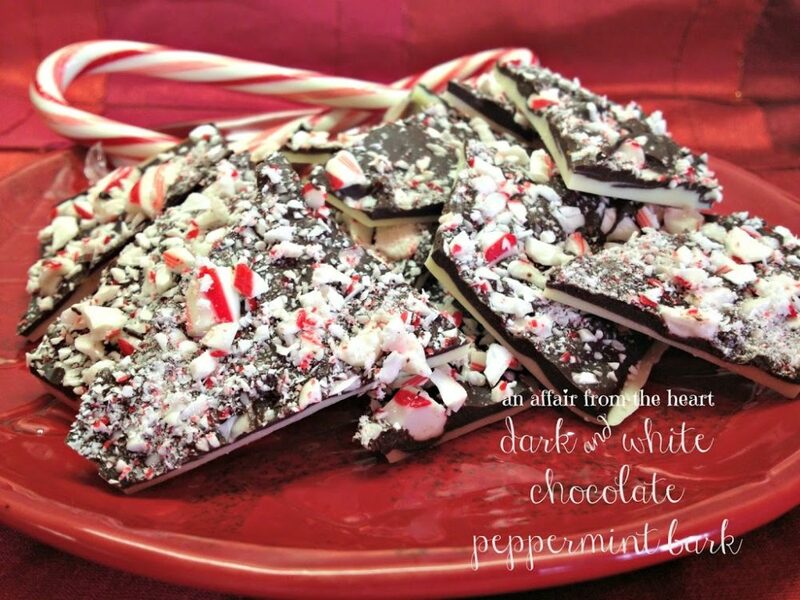 I’m a big fan of the chocolate peppermint bark! I am looking forward to making the choco mint fudge and the graham cracker toffee. The toffee looks amazing. So many of these cookies look fantastic! Will have to get baking soon to get to them all. So many cookies! So little time to make them all. I am very impressed at your cookie platter. delicious roundup! I would LOVE to win the mixer!!! This is so helpful for any Holiday Cookie Exchange! Thank you for the opportunity to win the Kitchenaid Stand Mixer! I have one that my daughter gave me a few years ago. Her name is Daisy ( the mixer, not my daughter). Daisy and I make all kinds of things; breads, cakes, pasta, pizza dough, mashed potatoes, etc. She Is well loved! I would give this one to my daughter! My sister would make the most amazing food after I gifted this to her! 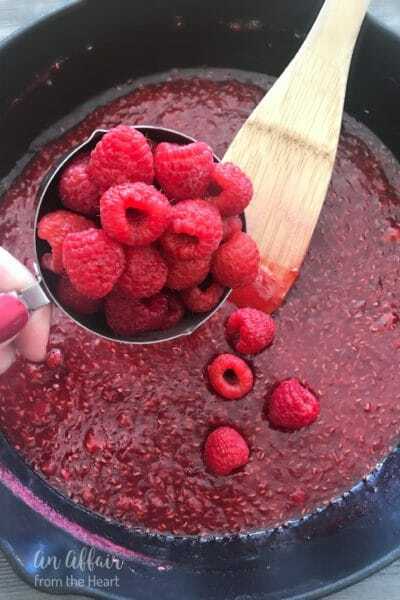 Going to make 1,000 raspberry thumbprints if I win that mixer! Can’t wait to make those and the peanut butter kiss cookies for Christmas! Such great idea for the holidays. I can’t wait to give a few of these a try. I might start with the home made twix. I would make your mothers peanut butter cookie recipe. I love all of your posts and recipes! So many ideas here!! I love the peppermint bark. I love that this is well thought out and is perfect for the busy festive season, thanks for sharing! Amaretto cheesecake would be the first thing I would make, then on to dough for cinnamon rolls. I would love to make such Christmas cookie platter with that mixer If I win. Sooo excited to try these recipes at our family cookie baking day! If I win, I’ll be keeping the mixer! My fiancé and I get married in April and it’s on my wishlist! I would first make some of those yummy ginger snap cookies you posted! I am sure with 2 growing boys this would get used ALL THE TIME! I haven’t made the graham cracker toffee since the kids were small, I think it is time to make it again. I need to try your Almond Raspberry Thumbprints too . I thought I was going to cut back on the number of cookies that I made this year. Looking and these I can see about a half dozen that I’ve got to try! You are definitely an overachiever and I think I’m going to take your advice and not make cutouts! I would make sooooo many cookies if I won the mixer. Probably start with some shortbread!